There is the idea of beginning earlier with something more innocuous, like A Midsummer Night’s Dream, for example, but I tried that once, at the start of my teaching career, and never went back to it. Trying to interest eleven and twelve year-olds, particularly boys, in fairies and magic is just not going to work. The choice of play is crucial when students are younger. Macbeth, Romeo and Juliet, and Julius Caesar all offer something to students in terms of plot, action and issues for reflecting on. And I think that to be able to offer some recognisable connection with their own lives helps to make the plays work. With Romeo and Juliet there is lively action, the idea of young love, and the idea of parents trying to control one’s life, and my students were more than willing to engage with these issues! Macbeth raises the ideas of hopes, dreams and ambitions and how far one is prepared to go in achieving those, as well as the idea of someone being influenced by their partner to do things they might otherwise not have done. And Julius Caesar obviously raises the idea of what one should do about bad rulers, tyrants, and how we make such judgements on rulers, as well as the ways in which the common people are manipulated. Clearly, as students grow older, they are able to engage with more complex plays and issues: they can understand the idea of sexual jealousy as raised in Othello and The Winter’s Tale, for example, although they might not kill as a response to it… and one can explore racism in many ways by studying Othello, or The Merchant of Venice. 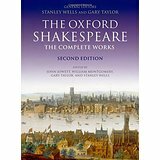 Studying Shakespeare in the classroom is a bit of a contradiction, as he was a dramatist and wrote for performance, not reading. Some schools are fortunate in having theatres reasonably accessible and can often take students to live performances which present the plays as they were meant to be experienced. Other schools – ours included – are not so fortunate. I tried, over the years, to develop a way of teaching which addressed this problem. I’d always do a very quick read through of the whole text, with the emphasis on getting a grasp of the plot and the main characters, and noticing what the main ideas were. I must stress here, that I was never one for just studying extracts. I think that’s a meaningless activity; if there isn’t time, or you can’t make the whole play work, then best not bother. 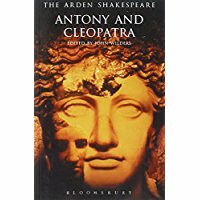 After an initial read, we would watch a TV or film performance of the play. We’d watch it straight through – obviously it might take several lessons, but I wouldn’t constantly be pausing it to comment or explain; again, allowing students to try and grasp the overall effect seemed much more important. If they were studying it for examination, I’d suggest they try to follow the text as they watched, the idea being that if they matched dialogue, gestures and action to the printed words it would improved comprehension. Feedback suggested that this did indeed work. After that, we had a choice, depending on whether they were studying for an examination, or to write coursework on the play. If a detailed study of the play and serious questioning and note-making were required, now was the time to do it. This was often the lengthiest, and perhaps the most tedious part of the work, but at least the class now understood what they were dealing with. 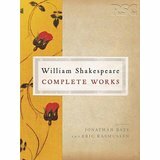 Looking back over my nearly thirty years in the classroom, I can honestly say that I always loved teaching Shakespeare – correction, trying to pass on my love of Shakespeare. I miss it, but the week after next is my annual Shakespeare week.